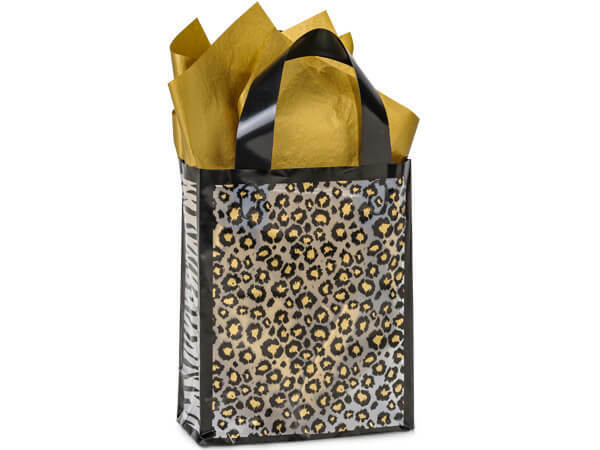 Leopard Safari bags feature bold leopard print design with metallic gold centers are on the front and back of the bag with zebra stripes on the sides. Bags are 3 mil hi-density polyethylene with matching 6 mil black soft loop handles and cardboard insert bottoms for stability. Individually UPC coded so great for resale.